Smithsonian’s May issue is going to be different than any in its 44-year history. 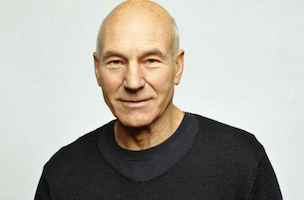 The New York Post reports that Internet darling Patrick Stewart will grace Smithsonian’s cover, marking the first time a celebrity has appeared on the title’s front. The 73-year-old actor will also make an appearance at Smithsonian’s “The Future Is Here Festival,” a science centric conference that starts May 16. Michael Caruso, Smithsonian’s editor since 2011, told the Post that while the Stewart cover is an abrupt change, “We won’t be doing celebs every issue.” Sorry, LeVar Burton.